The phrase “public charge” is used by the U.S. Citizenship and Immigration Services (USCIS) to describe individuals who are likely to receive monetary assistance from the U.S. government. When green card or visa applicants seek to enter the U.S., immigration officers decide whether they are public charges by reviewing certain factors, including whether the individual will have financial support from others and whether the individual has previously used cash aid programs such as TANF or SSI. 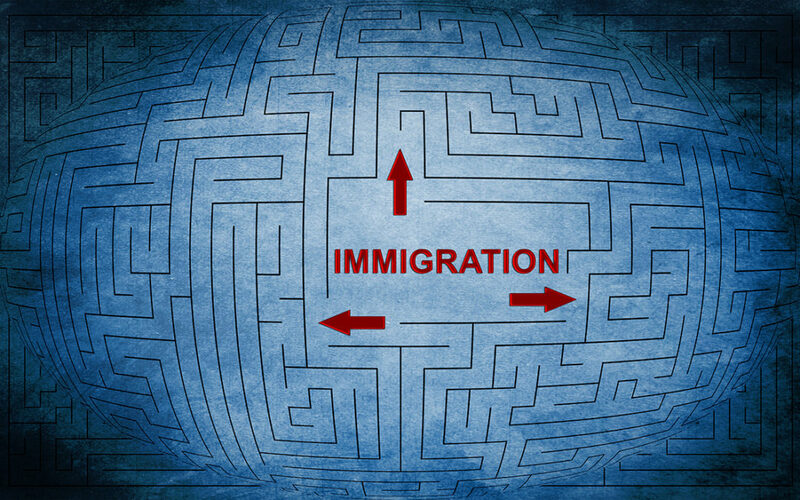 Individuals seeking admission into the U.S. or applying for adjustment of status who are viewed as public charges by immigration officers using current factors specified by the Immigration and Nationality Act (INA) may be denied. Changing criteria from government dependence to merely utilizing government assistance—The current grounds for admissibility involve determining whether an individual would become primarily dependent on the government for assistance. The DHS’s new proposal would expand that criteria to include any individuals who would be likely to use government programs, with both past and current usage being weighed against them during the review process. Expanding the list of publicly-funded programs to make individuals inadmissible—The proposed rule would expand the list of public assistance programs for public charge criteria to include past and current use of Medicaid, Supplemental Nutrition Assistance Program (SNAP), Section 8 housing assistance, and Medicare Part D prescription drug low-income subsidy. It would also include the usage of any state or local cash assistance program to be grounds for inadmissibility. Creating “heavily weighted negative and positive factors” to determine admissibility—Under the proposed rule, immigration officers would draw from a list of negative and positive factors when determining individuals’ admissibility. The usage of certain government benefits would be considered a heavily weighted negative factor, while having a household income that’s at least 250-percent of the federal poverty level would be considered a heavily weighted positive factor. Factoring English proficiency and previous immigration fee waivers into admissibility standards—Immigration officers would also be able to consider admissibility based on individuals’ proficiency in English. In addition, previous usage of immigration fee waivers would be considered a “heavily weighted negative factor,” and individuals would be required to submit credit reports and Declarations of Self-Sufficiency as part of the review process. What’s Next for the Rule Proposal Change? First, it’s important to understand that the existing definition and criteria for determining public charges are still in effect. In addition, the proposed change is currently in a comment period until December 10, 2018. That means individuals and organizations that are interested in the rule change can submit feedback until that date. Finally, it may be many months after the comment period ends that the rule is published in the Federal Register—and there could still be legal challenges that delay its implementation and enforcement. Confused? Concerned? We’re Here to Help. At Jennings Immigration Law Office, we know that immigration, visa, and citizenship processes and requirements seem to constantly change, especially since the current presidential cabinet took office in January 2017. It’s our goal to help you and your loved ones navigate this complex and constantly changing system. Whether you’re seeking business-related immigration, a path to naturalization/citizenship, helping your family immigrate to the U.S., or any other immigration-related services, we want to help. Contact us today at (865) 470-0788 or schedule an appointment.